FOXBOROUGH, Mass. (AP) — New England Patriots center David Andrews has gone to the playoffs every year he’s been in the NFL, reaching the AFC title game in his first three tries and making the Super Bowl twice. Something he’s never done: played on wild-card weekend. 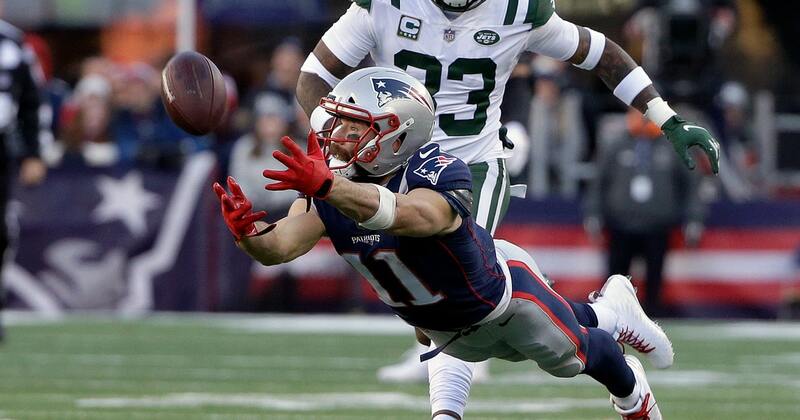 After early-season struggles that once again raised doubts whether the New England dynasty was coming to an end, the Patriots are back in their usual spot after a 38-3 victory over the New York Jets on Sunday. They will have the week off before finding out which of the wild-card winners — it could be the Texans, Ravens or Chargers — will be their opponent in Foxborough on Jan. 13. Coach Bill Belichick said on a conference call with reporters Monday that the Patriots will occupy their time with a combination of rest, film work, practice, fundamentals, scheme plays, and situational practice. The Patriots (11-5) earned their 10th straight AFC East title and their 15th in 16 seasons; the only exception was the 2008 season Tom Brady missed with a torn ACL. They have not played in the wild-card weekend since 2009, when they lost to the Baltimore Ravens in Foxborough. The victories in the last two games also guaranteed the Patriots of at least one home playoff game — and the chance for two if something should happen to the Kansas City Chiefs. That’s important, because New England has not won a road playoff game since 2006 (although, because of their regular-season prowess, they’ve only played three since beating the Chargers in San Diego in the divisional round that year). New England also went undefeated at home in the regular season and just 3-5 on the road. They were the only team in the league with a perfect home record but the only one in the AFC that was under .500 on the road.